Foreshadow is a speculative execution attack on Intel processors which allows an attacker to steal sensitive information stored inside personal computers or third party clouds. Foreshadow has two versions, the original attack designed to extract data from SGX enclaves and a Next-Generation version which affects Virtual Machines (VMs), hypervisors (VMM), operating system (OS) kernel memory, and System Management Mode (SMM) memory. The Fixed Coordinate Invalid Curve Attack is a new attack, which could be applied to all current Bluetooth pairing protocols.The pairing protocol is the process of connection establishment in Bluetooth. This process supplies the ground for all of the security and privacy features provided by Bluetooth. Failing to secure this process compromises the entire Bluetooth session. Our new attack provides a new technique for attacking the Bluetooth pairing protocol by manipulating specific messages, without being detected by the victim devices. Our attack relies on a newly discovered protocol design flaws. Using our attack, one can exploit this vulnerability in order to reveal the encryption key of the victim devices and use it in order to decrypt and forge data without user awareness. The Academic paper is here. 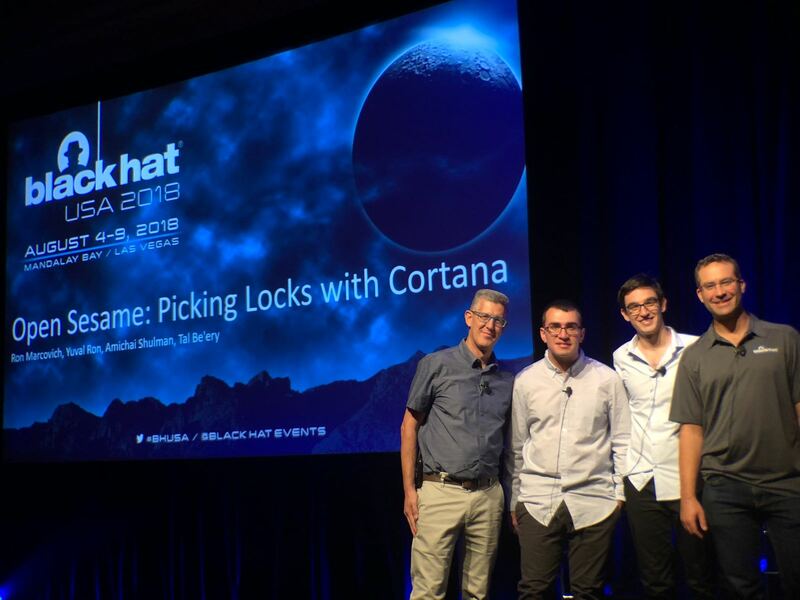 Undergraduate Technion CS Students identified a security vulnerability in Microsoft Cortana that allows anyone to run any code they wish on any Windows computer running Cortana. Cortana = Microsoft voice-activated virtual personal assistant. Microsoft was notified and is currently working on a solution. 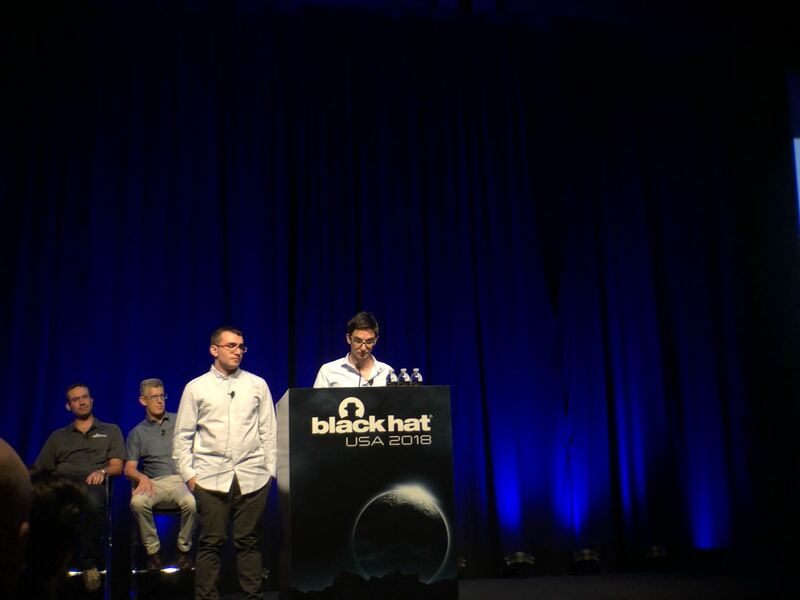 The results will be presented in Black Hat USA conference in August. The cost of communication is a substantial factor affecting the scalability of many distributed applications. Every message sent can incur a cost in storage, computation, energy and bandwidth. Consequently, reducing the communication costs of distributed applications is highly desirable. The best way to reduce message costs is by communicating without sending any messages whatsoever. This paper initiates a rigorous investigation into the use of silence in synchronous settings, in which processes can fail. We formalize sufficient conditions for information transfer using silence, as well as necessary conditions for particular cases of interest. This allows us to identify message patterns that enable communication through silence. In particular, a pattern called a silent choir is identified, and shown to be central to information transfer via silence in failure-prone systems. The power of the new framework is demonstrated on the atomic commitment problem (AC). A complete characterization of the tradeoff between message complexity and round complexity in the synchronous model with crash failures is provided, in terms of lower bounds and matching protocols. In particular, a new message-optimal AC protocol is designed using silence, in which processes decide in 3 rounds in the common case. This significantly improves on the best previously known message-optimal AC protocol, in which decisions were performed in rounds. Prof. Eli Biham, doctoral student Elad Barkan and Nathan Keller, have succeeded in cracking the popular GSM cellular phone network encryption code. They found various vulnerabilities in the GSM protocol, and in the A5 ciphers, that enable attackers to listen in to any second-generation GSM phone conversation, and even forge outgoing calls as if they are originated from that number. The discovery received significant attention in the Israeli media including an item in the TV news, and items in all major newspapers including Ynet, Haaretz, Maariv, Globes, Reuters and NY Times Online. The paper was published in Crypto 2003, with followups in additional conferences. See the paper in here.